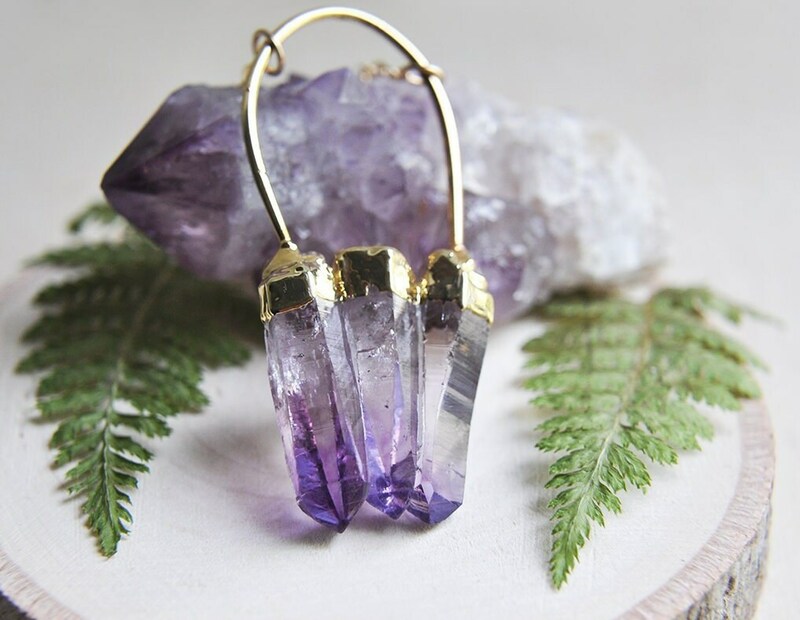 Lovely amethyst points electroplated and suspended from a gold hoop. 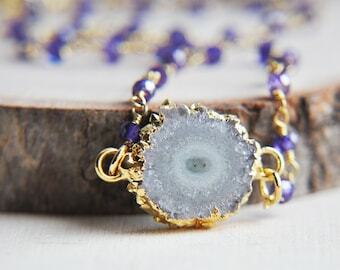 The amethyst is secured on both sides with gold filled chain. 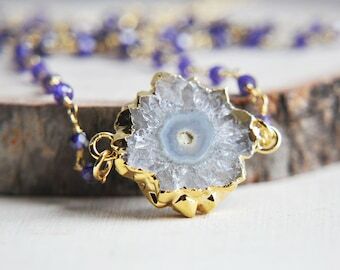 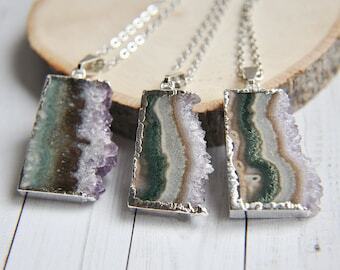 There is an extender to adjust the length of the amethyst necklace along the neckline. 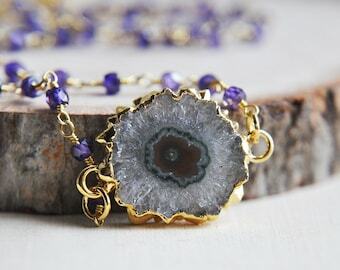 This is the exact raw amethyst that you will receive. 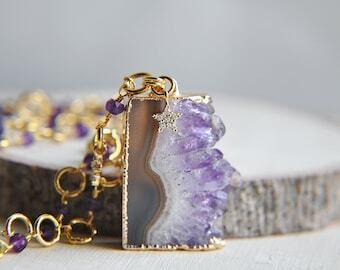 Your amethyst will arrive suitably gift wrapped ready for giving.